On the first floor of one of Tokyo's most prestigious hotels, The New Otani, is also one of Tokyo's better known ceramic galleries. Kandori was started some twenty years ago by Madame Kikuchi and has had a very impressive history of representing top potters. Many pieces sold out of Kandori have found their way into museums around the world, including the Victoria and Albert in London, as well as some of the finest private collections in the world. The gallery is quite small, as most are in Tokyo, and can be crossed in five giant steps. Of course that limits the number of pieces being shown. 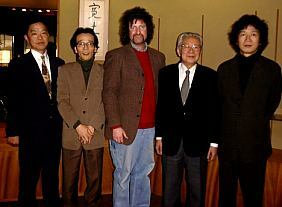 When I visited there was a three-part, three-person exhibition entitled Tora, Tora, Tora. Now don't start thinking of famous war movies - not that at all. Tora, in this case, means Tiger, and the three potters, Bizen's Kakurezaki Ryuichi and Kaneshige Yuho, plus celadon specialist Kawase Shinobu, were all born in 1950 - The Year of the Tiger. 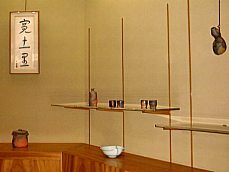 This particular exhibition had three parts; tea forms, sake utensils, and sculptural forms. As usual with these three very popular artists, most pieces had sold. I was lucky to catch them all there on the same day as well as the past director of the Tokyo National Museum Crafts section, prolific author and all-around very important gentleman in the ceramic art world here, Mr. Hayashiya Seizo. As one walks in there is a guest book on the right that the kimono-clad manager asks everyone to sign. On the left is a small display counter flanked by a longer counter that encompasses most of the single room; some plexiglass shelves allow for more pieces to be shown. On one of the shelves I found a great myriad of scratches that were scars from all the wonderful pots that had been placed there; I thought the shelves were works of art unto themselves. One large mirror in the back gives the illusion of a much bigger space and in the front are two enclosed cases that act as a show window. Kandori doesn't usually have such installment exhibitions but shows one potter's work for about two weeks. All are top class artists including Matsuda Yuriko, Maeda Masahiro, Koike Shoko, Ito Motohiko, and Takeuchi Kimiaki, among others. Right across from the gallery is a large open restaurant and the din of endless voices never seems to cease and filter into the gallery. 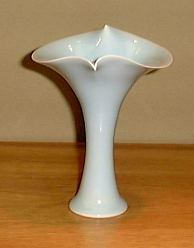 It makes the atmosphere feel more like a station than a quiet space to view ceramic art.  Nevertheless, one can screen the noise out and concentrate on the fine selection in view. 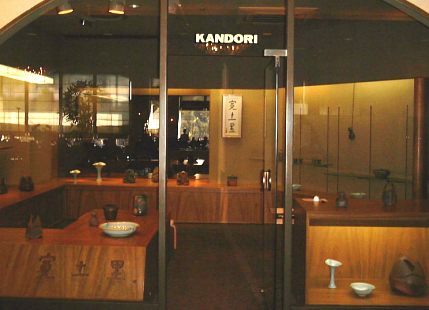 Unlike other galleries that usually have a standing display of tablewares and such, Kandori shows exhibitions exclusively.